Rabbits are tricky and fast! Trying to capture Amy harvesting a rabbit on video this past week proved to be quite a challenge ! Usually rabbit hunting is fast paced with plenty of action… but occasionally, due to harsh weather or poor scenting conditions the hunt becomes more about endurance and making the most of the few chances presented. This was one of those hunts. Only two real races and the rabbits were holding tight. Once the rabbits were up, they did not run in predictable patterns but opted to resort to trickery over running big. 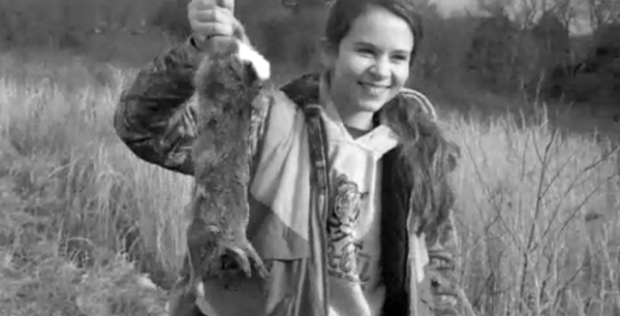 Amy hung in there and ended up with a well-earned rabbit!